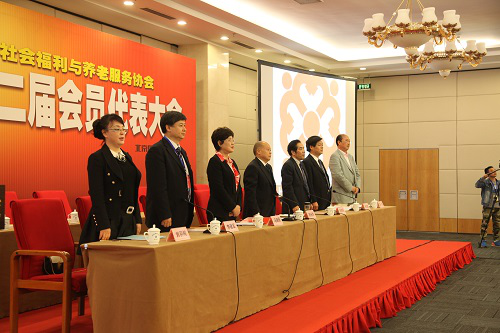 In the afternoon of May 3, 2016, the Second Member Representative Conference of China Association of Social Welfare and Senior Service was held in Beijing was held in Beijing, Vice Chairman of the 11th CPPCC and the first Honorary Chairman of China Association of Social Welfare and Senior Service Zhang Meiying attended the Conference and made a speech at the Conference, and Deputy Director of Division of Social Welfare and Charity Business Promotion Meng Zhiqiang attended the Conference and made a speech on behalf of leaders of Ministry of Civil Affairs. 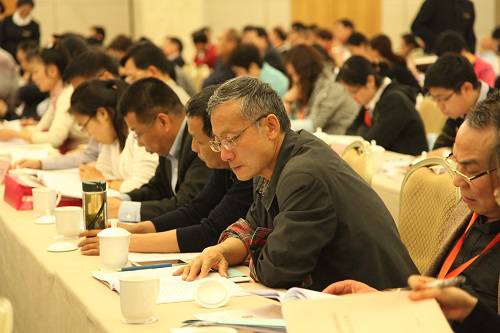 The Conference was divided into two phases. 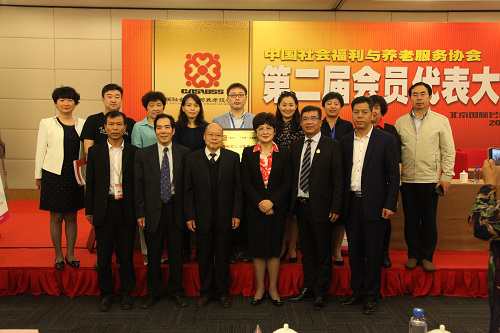 The first phase was hosted by Liu Guanghe, Chairman of China Association of Social Welfare and Senior Service and Regular Election Preparation Group Leader of China Association of Social Welfare and Senior Service. 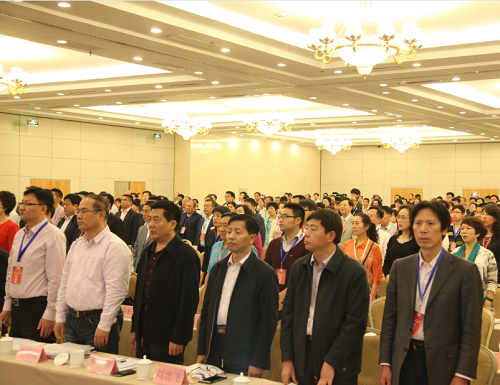 At the Conference, Feng Xiaoli, Vice Chairman and Secretary-General of the Association, made a speech about the "First Council Session Work Report of the China Association of Social Welfare and Senior Service" on behalf of the first session of leading group. Feng Xiaoli made an introduction to working achievements of the first council session of the Association in the "Work Report": Since its establishment in 2010, China Association of Social Welfare and Senior Service closely relies on each member unit, sticks to the principle of adhering to tenet, scientific location, served the overall interests, and innovation and factualism, carefully learns about and carry out the spirits related to accelerating construction of public service system in The 12th Five-year Plan, actively cooperates with component government departments to promote general deployment to develop social and welfare services and senior service industry, and propose suggestions to gather wisdom and improve social welfare system construction, under concerns of the leading party group of Ministry of Civil Affairs and guidance of competent minister, under trust and supports of component business divisions of the department and under leadership of Chairman Liu Guanghe; it is brave in innovating to actively practice and promote construction of social welfare service system; it adheres to cultural leading to propose suggestions and innovate to promote development of welfare service; it builds a platform to integrate strength to promote communication and cooperation; it has been improving its capacity to develop works in five aspects to ensure scientific development and enhance developing capacity of the Association. Have completed work tasks for each year, and have set up a service brand and good service image in social and welfare services and senior service industry, which have played a role of supporting in promoting development of social welfare service and senior service industry, and initially realized the construction target of "innovation of management system mechanism, optimization of welfare service functions, scientific standards for industry construction and healthy and orderly self-development". It is necessary to take "improve people's livelihood and promote scientific development of social and welfare services and senior service business" as the tenet, actively cooperate with governments to promote work deployment to promote development of social and welfare services and senior service industry in close accordance with overall development of national society construction, confirm periodic work target to further lead social force to actively participate in social welfare service and senior service, build the Association into a social association with innovated management mechanism, optimized service functions, scientific management standards, and orderly self-development to play a role of more importance in promoting development of social welfare service and senior service industry. Play a role of innovation and practice to implement relevant laws, regulations and policies; play a role of bridge and bond to promote social welfare and senior services; play a role of integration to incorporate social resources; play a role of platform to develop service innovation; play a role of promotion to extend cooperation communication. Thirdly, maintain service brand, and drive development with service. It is necessary to actively cooperate with Ministry of Civil Affairs to accelerate general deployment of construction of national social and welfare services and senior service industry, fully seize the opportunity to expand business space after the Association changed its name, highlight the brand function of "senior service" of the Association, and pay attention to cooperate with competent departments to promote standardization construction of senior service industry; continue to play the role of industry leading of "China International Senior Service Expo"; expand cooperation channels, and actively participate in cultivating senior service talents; continue to give play to the advantages of "senior service technology R&D" to promote conversion of scientific research results; cooperate with government departments to develop works to promote employment of the disabled; actively participate in children's welfare service, and actively undertake and complete entrusted items. Closely cooperate with service-related units and club organizations to develop related service items and realize complementary advantages and resource sharing; Maintain and create service brands to actively promote to improve social welfare service and senior service level. 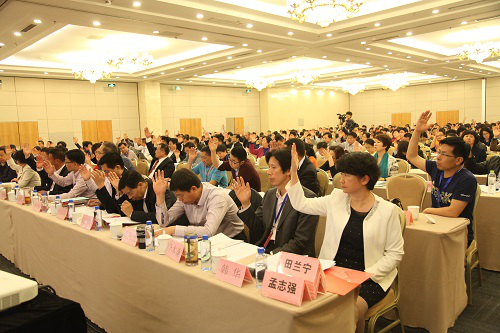 The Conference reviewed and unanimously approved the "First Council Session Work Report of the China Association of Social Welfare and Senior Service", "Financial Work Report of the First Council Session of China Association of Social Welfare and Senior Service", "Articles of China Association of Social Welfare and Senior Service (revised draft)", "Proposal to Verify Membership of Executive Council Member, Council Member and Regular Member of the New Session of China Association of Social Welfare and Senior Service", "Suggestion List of the Second Council Session of China Association of Social Welfare and Senior Service", and Proposal to Establish Beijing Zhongfu Senior Culture and Media Co., Ltd. of China Association of Social Welfare and Senior Service, and elected the new council session. After the first phase of the Conference, the Senior Vice Chairman of China Association of Social Welfare and Senior Service Zhang Mingliang hosted and convened the first meeting of the second council session of China Association of Social Welfare and Senior Service, and elected a new council session; Later, the first general council meeting of the second council session was convened, in which Recommended Candidates List for Council Chairman, Vice Chairman and Secretary-General of the Second Council Session of China Association of Social Welfare and Senior Service; After discussion in the first meeting of the second council session, they elected Chairman, Vice Chairman and Secretary-General of the Second Council Session of China Association of Social Welfare and Senior Service. 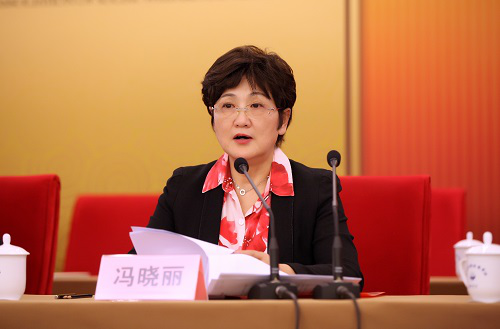 Feng Xiaoli was selected as the Chairman of China Association of Social Welfare and Senior Service; Zhang Mingliang, Zheng Gongcheng, Li Jianjun, Liu Yutong, Yang Xijun, Niu Xuexing, Yuan Xiang, Yao Li, Tian Lanning and Chen Wenlong were selected as Vice Chairman of China Association of Social Welfare and Senior Service; Han Hua was selected as the Secretary-General of China Association of Social Welfare and Senior Service; The Conference reviewed and passed "Proposal to Adjust and Set Internal Organization, Professional Organization and Branch Association of China Association of Social Welfare and Senior Service" and "Recommended Candidates List of Deputy Secretary-General and Directors of Each Department of the Second Council Session of China Association of Social Welfare and Senior Service", and elected deputy Secretary-General and department directors of the second council session of the Association. 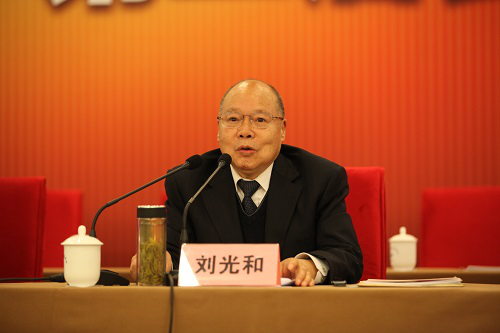 The second phase of the Conference was hosted by Zhang Mingliang, the Senior Vice Chairman of China Association of Social Welfare and Senior Service, he announced the election results of Chairman, Vice Chairman and Secretary-General of the second council session of China Association of Social Welfare and Senior Service during the Conference; Liu Guanghe, the first Council Chairman of China Association of Social Welfare and Senior Service made a speech at the Conference, and commented that: The regular election conference has successfully completed each agenda of the conference, passed work report and financial report of the last session of Association, modified the Articles of the Association, and elected a new session of Association leading group, which has laid a solid thought foundation and organization guarantee for sustainable development of the Association in the future. 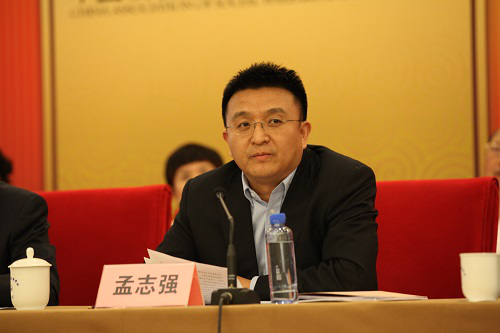 Liu Guanghe looked back and said that it is the basic thought of Association work to stick to create foundation, search for innovation and strive for development, and the "Work Report" of the Association comprehensively reflected successful experience and actual achievements gained in this aspect ever since the establishment of the Association. In the last over six years, the Association reformed bravely, persisted in working according to specifications and integrity working, and formulated a series of internal management system successively around the Articles of the Association, which has laid a good foundation for Association construction and development; And the Association has gained substantial development in expanding social welfare and senior service industry, and set up service brands for standardization, informationization, "Senior Service Expo", talent training, textbook R&D, etc. ; He showed his sincere gratitude to trusts and supports from each aspect during his term, and his warm congratulations to the elected new session of leading group of the Association; He sincerely hoped that ministries and leading party groups and the units directly subordinated to ministries would continue to support works of China Association of Social Welfare and Senior Service, that each member representative and the council members can support Chairman Feng Xiaoli, hoped that more entrepreneur and social loving people to pay attention to and supports works of the Association, and hoped that the Association "group" to unite as one, explore and innovate and try their best to build a youthful, integrity and promising association organization! 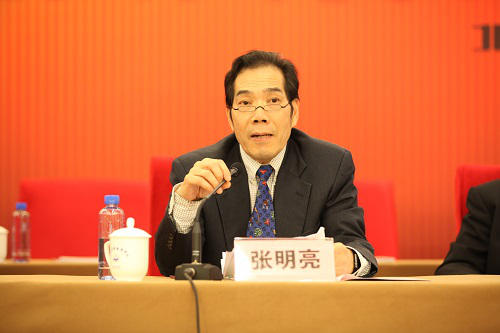 The newly elected Second Council Chairman of China Association of Social Welfare and Senior Service, Feng Xiaoli made a speech at the Conference, said with emotion that: today, let us look back history of China Association of Social Welfare and Senior Service and search for good strategies for future development; the new leading group elected at the Conference would shoulder new tasks and usher in new challenges together with all of you; it needs faith, wisdom, responsibility and payment to do a lofty work, which had been proved by practical actions of all the members of China Association of Social Welfare and Senior Service. She showed her sincere gratitude to the Vice Chairman Zhang Meiying for leading Association development with lofty faith and giving meticulous guidance and passionate encourage to works of the welfare association while working as the Honorary Chairman of the Association; she also thanked leading party group of Ministry of Civil Affairs, all the department leaders, and leaders of specific business divisions and bureaus for their trust, spur and great supports to Association work, and she also showed her sincere gratitude to respectful Chairman Liu Guanghe for leading scientific location of the Association, serving the overall interests, exploring to innovate and trying best to strive with his outstanding leading wisdom and abundant political experience; she sincerely thanked all sectors of the society and all the Association members for their passionate investment and selfless contribution to social welfare and senior services; and thanked the Senior Vice Chairman Zhang Mingliang, Vice Chairman Zheng Gongcheng and other Association leaders and all the working personnel of the Association for their careful performance and diligent working. Feng Xiaoli pointed out that the relay baton handed by Chairman Liu Guanghe does not only contain trusts from each presented leader and member friends, but also is a heavy responsibility. She would give full play to the wisdom and talents of each vice chairman and closely rely on all the member units to search better development and location of the Association in the future five years under instructions of government departments; and would set up platform and serve to gather all the member units and social force to devote in social welfare and senior service. She would lead all the members to unite and cooperate, carefully perform duties, face difficulties, innovate and practice, and try her best to complete work tasks in each phase of the Association, and further build the Association into a social organization with "innovation of management system mechanism, optimization of welfare service functions, scientific standards for industry construction and healthy and orderly self-development", and further give play to the Association in construction of social welfare and senior services, and create a new pattern of construction and development of China Association of Social Welfare and Senior Service together with all the other members. Entrusted by leaders of Ministry of Civil Affairs, Deputy Director of Division of Social Welfare and Charity Business Promotion of Ministry of Civil Affairs Meng Zhiqiang made a speech at the Conference, and he showed his warm congratulations for the successful election to the Association on behalf of competent divisions and bureaus of Ministry of Civil Affairs, sincere appreciation to the outstanding performance gained ever since the Association establishment, and full affirmation to diligent efforts paid by the Association to actively cooperate with and greatly support major works of business divisions and bureaus of the department. He believes that, for the past 6 years, China Association of Social Welfare and Senior Service always has clear mission and accurate location, is realistic and pragmatic and brave to undertake, and has more focused tenet and responsibilities, motivates all sectors of the society to participate in senior service, maintains member benefits, reflects industrial appeals, and plays a role of vital importance in promoting development of social and welfare services for the elderly especially after changing its name, being an important strength in leading development of Chinese senior services, and also an important and effective partner of civil affairs departments to promote development of social welfare and senior services. Ability construction of Association itself has been greatly improved in this process. 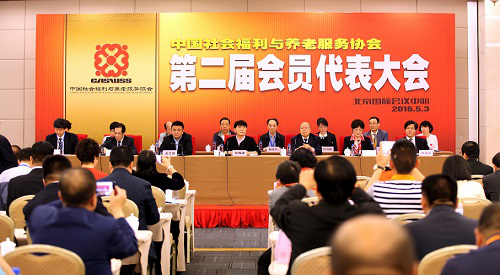 Meng Zhiqiang said that currently we are formulating The 13th Five-Year Plan for senior service system construction, trying to solve some core and key problems hindering and influencing development through joint efforts of all the sectors. All these have proposed new requirements and new expectations for the following works of the Association. He sincerely hoped that the Association would give full play to its good tradition of being realistic and pragmatic under leadership of the new leading group, closely combine with new trends and new characteristics of development of social welfare and senior services, constantly explore and forge ahead and reform and innovate, and play a role of more importance in supporting China to actively correspond to challenges of population aging and improve construction of social welfare system and service system. 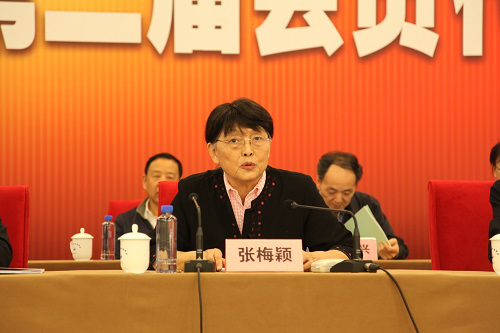 Vice Chairman of the 11th CPPCC and the first Honorary Chairman of China Association of Social Welfare and Senior Service Zhang Meiying made an important speech at the Conference. She showed her warm congratulations to the convening of the Conference, and spoke highly of the courses and obtained achievements after five years of striving and growing. She believes that the establishment of China Association of Social Welfare and Senior Service has effectively promoted fairness and justice and harmonious development of Chinese society, being an inevitable product of the conversion from vacancy filling development to widely beneficial development of Chinese social and welfare services, and symbolizing civilization and progress of Chinese society. She made a comment that: The largest characteristic of Association work lies in "being practical", trying to make things practical and doing practical things well; it has proposed suggestions and promoted the implementation with problems oriented, and cooperated government departments to develop fruitful works; The welfare association's contributions cannot go unnoticed in actively corresponding to strategies and planning of aging development, scientizing top design and formulating orderly countermeasures. She expressed great expectations to the future of the Association after changing the name and the regular election. 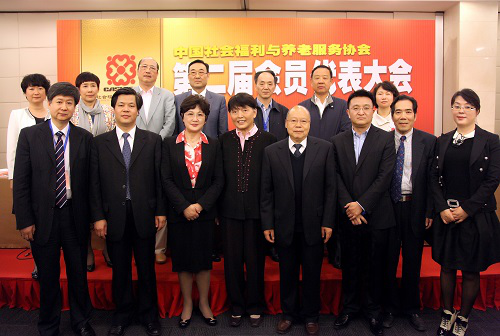 She sincerely hoped that the new leading group of the Association would lead all the members to devote to social practices with passion, actively promote innovation and development of construction of Chinese social welfare and senior service system, and provide support to development of Chinese social welfare and senior service and bring welfare to the elderly. 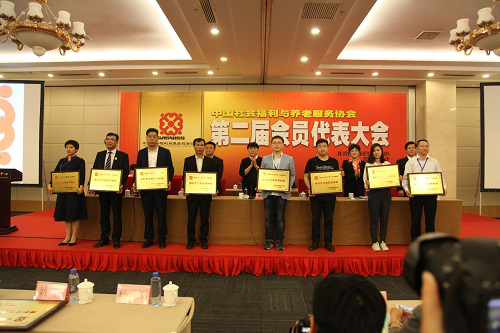 At the end of the Conference, granted "Award for Contribution to Welfare Culture Construction" to loving entrepreneur representatives who have participated in the activity of "Welfare Culture into Thousands of Families" in 2015 and 2016. 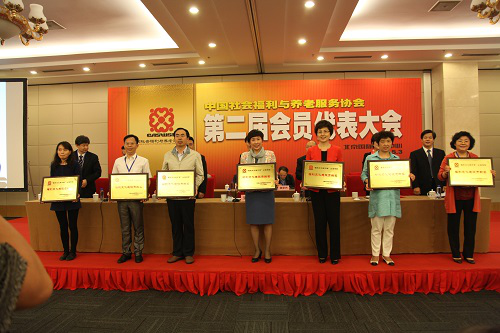 The regular election has been successfully completed in the Second Member Representative Conference of China Association of Social Welfare and Senior Service, and presented representatives said that the Association works have been upward connected to governments and downward to the public, and that its sound development and service brands have provided a good working platform and cooperation opportunity for all the member units; they would continue to support the works of the new leading group, actively participate in expansion projects of the Association and jointly compile the new chapter of social welfare and senior service under leadership of the Association in the future.